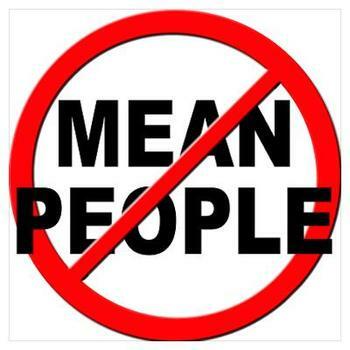 Some folks are set on setting others on edge with their uncaring actions or shock-jock statements. Whether it’s for effect, or from a mean spirited heart their goal is to get under the skin of their victims and gain control. You know they are in charge when they are able to manipulate your emotions. They prey on good people. Chronic whiners and troublemakers only listen to what they want to hear, and will not reason. They mock authority and use gossip to facilitate fear. I will guarantee you that you have someone like that in your life right now! Their approach might be passive or aggressive, but either way, the result is the same: frustration, fights and sarcasm that cuts to the marrow of our bones. There is relational carnage after these folks inflict their influence, anger or insecurity into any situation. Why doesn’t someone stand up to their intimidation tactics? Perhaps people are afraid of conflict or are not confident to challenge such a persuasive personality. Left alone a mocker will scoff and scorn until they get their way. They are ungracious and abusive. A wake of bloodied bodies lay in their wake of selfishness and hurtful words. So what are we to do? How do you respond to an attitude that creates friction within your family, job or church? Ignoring them is not an option, because their intensity of words will only increase. It’s up to you to clearly define expectations with verbal and written communication. Maybe there is someone or something else pushing or prodding the mocker. If so, make sure to include them in the stoppage of unacceptable actions. Make clear if their foolishness does not cease then they will need to transition out of the team or ministry. Leading this conversation with grace is essential to a healthy conclusion. The goal isn’t to prove they are wrong, it is to make things right. It is vital that you don’t allow one or two people to spoil the spirit of an entire team, class, church or company. Galatians 5:9 teaches this point: “A little yeast works through the whole batch of dough” . The Lord does not tolerate self-centered bullies and troublemakers. The Psalmist says in the 101st Psalm; “No one who has a haughty look and an arrogant heart will I endure” . The questions reside on our willingness to guard our soul and the soul of our team, family or business. Will you be bold and confront pride and arrogance? Are you willing to make the hard decision for the sake of unity in purpose and attitude? When we take the protection of our souls and the souls of those we lead seriously, we will lovingly, but earnestly remove the thieves that rob us from the peace necessary to make wise choices and build healthy relationships.